In Purna Yoga we wish to make you whole again, but what does it mean to be whole? If you ever in your life felt something is missing, even though you have all the material needs, you are healthy, you have good relationships, but still you can’t figure out what it is. There is a hole, a void which needs to be filled. Yoga and its ancient tradition have taught us to unite, to bring mind, body and spirit into one. That is union, that is yoga. You might have done yoga and tried out different styles, it’s fun and good for fitness, but did it make you feel truly content with your life? Did you feel you learned how to live a life with purpose and joy? Is that not what we all want, be happy and live meaningful? One of the founders of Purna Yoga Aadil Palkhivala was himself in a yoga system which did not support the wholeness of the individual and therefore he and his wife created Purna Yoga, Purna derived from Sanskrit, meaning complete. His wife Savitri added a precious gift called Heartfull™ Meditation to this system after she experienced tragic events in her life. Both creators of Purna Yoga felt something is missing and are now sharing with us their own unique experience and wisdom of becoming whole again. Heartfull™ Meditation is one of the four petals of Purna Yoga and it is a meditation for the 21st century. It fits very well into our lifestyle today where everything is on the go. This meditation is meant to practice throughout the day like a snack, that is why the simple techniques are called meditation snacks. Heartfull™ Meditation is not meant to quiet the mind and bring you into a blissful state. It is meant to direct your mind into the heart chakra so you can recognize your own wisdom. It is meant to help you follow your intuition, your guidance, your inner voice. It is meant to create the life you want to live, happy and meaningful. It is meant to evolve you as a human being. 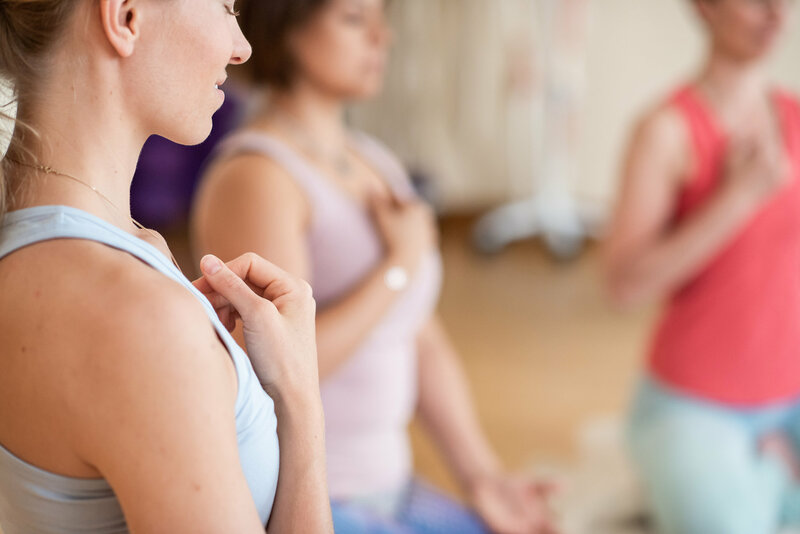 The connection to our heart center, our heart chakra is the missing link to a life of wholeness and it is with the other four petals, applied philosophy, alignment-base asana and nutriton&lifestyle that we may experience our complete self. At Purna Yoga Helsinki we practice some of the snacks in every class. We also offer meditation courses and workshops with Tove Palmgren who has been closely connected to Savitri and practiced with her on a regular basis for the last 9 years. I would be happy to get your comments and how you perceive meditation, how it has helped you and what other meditations you have practiced.